Air conditioners in Las Vegas run longer and harder than almost anywhere else in the country. It’s likely that you have your AC running right now. Most home owners turn the cooling on and hope for the best. Without a maintenance visit from a trained technician, they are likely to receive a lot less than the best. 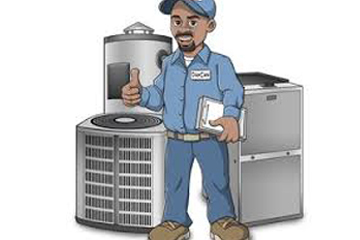 Routine professional maintenance is essential for maintaining air conditioners energy efficiency. 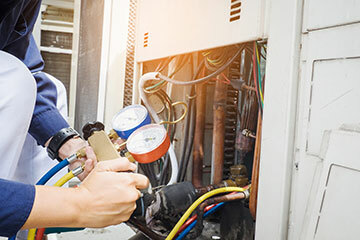 Studies have shown that an AC that receives an inspection and tune-up once a year will retain 95% of its efficiency throughout its service life. One that doesn’t will, on average, lose 5% efficiency per year. This yearly decline means that it only takes four years without maintenance to turn a 20 SEER air conditioning system into a 15 SEER system. Maintenance cleans important components in an AC Unit. A build-up of dirt and dust along engines and fans will make them work harder, draining power. An acid wash along the outdoor condenser will remove obstructions that can block airflow and lower efficiency. Maintenance tightens loose connections and makes sure the electrical system is operating at top level and not siphoning away additional power. Maintenance spots possible repair issues before they become serious and gives you time to have them fixed. These small malfunctions will cut into the system’s efficiency even though they will at first display no outward indications that there is anything wrong… except for a rise in your utility bills. Maintenance does more than guard your air conditioners efficiency: it prolongs its service life, reduces repair needs, and protects it from abrupt breakdowns.